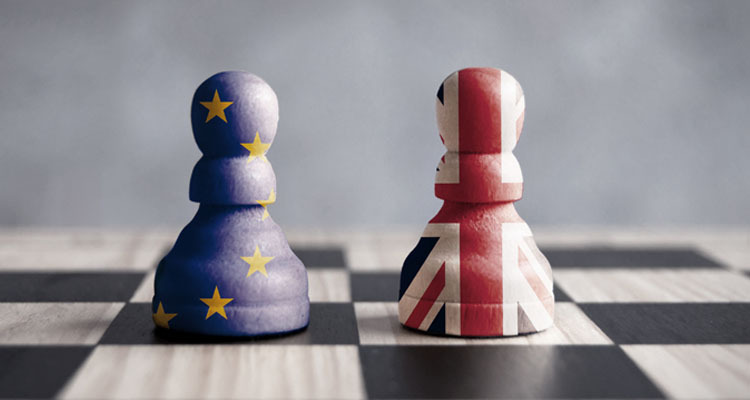 Is your employee benefits scheme Brexit-ready? As it stands, Britain is due to leave the EU on 29th March. Whether this will be a hard, no-deal Brexit, a softer version or, indeed, whether it will happen at all remains unclear at time of publication. What is clear, is that regardless of the proliferation of views and predictions as to how it will play out, the fact is no-one really knows how Brexit will impact the country as a whole, nor its implications for individual businesses or employees. It was widely reported that the value of the pound plummeted to a 31-year low the day after the referendum and whilst is has fluctuated somewhat since then, it has failed to regain much ground. This ongoing political and economic uncertainty is causing disquiet for many – particularly for EU nationals living and working in the UK. Indeed, any of your employees, regardless of nationality, could be concerned about the economic impact of Brexit and therefore the implications for their job security. What can you do to support your employees and help your business through the Brexit minefield? It is likely that you will be focusing on the impact that Brexit may have on your business as a whole – and this is, of course, a reasonable and responsible approach. Assessing the potential risks of various scenarios and implementing future-proofing strategies and processes accordingly will help your business weather the potential tumultuous road ahead, and ideally secure the jobs of your workers. However, whilst doing so, it is easy to forget the individual impact on your staff, particularly EU nationals whose personal futures may be feeling quite vulnerable. Acknowledging the potentially challenging and emotional time that employees may be going through could help them feel supported by the company, and mitigate any risk to their mental wellbeing. Offering mental health support such as counselling and therapy is good practice in any employee benefits scheme, but there may be no better time to ensure that your scheme not only includes such services, but that they are effectively communicated so that all of your staff are aware that this support is available. An insecure workforce is unlikely to be the most engaged and motivated one, and it might be helpful to also consider an internal communications programme to ensure that employees are informed about how Brexit may affect the business, and the planning you are doing in order to prepare for this. This could include one-on-one sessions for anyone with concerns or worries, or perhaps you could run a Q&A discussion for the whole company or individual teams to help allay any fears that could be affecting the general mood amongst staff. The latest figures published by the Office for National Statistics (ONS) show that there were 2.25 million EU nationals working in the UK in September 2018. Brexit is therefore likely to have direct consequences for your business and some of your staff. EU nationals living in the UK are being asked to apply for 'Settled Status' and this could be causing some anxiety for people unfamiliar with the process involved. It might be helpful to invite an expert in such matters – such as an immigration lawyer - to run a session for staff, explaining what they need to understand and do in advance of and following our leaving the European Union. Settled Status applications incur a fee of £65 for an adult and £32.50 for a child under 16, and some businesses and organisations have decided to go a step further than simply offering guidance, pledging to pay their EU staffs’ settlement scheme costs. It may be appropriate to consider whether this is something that your business will offer. There are numerous other processes that could be triggered by Brexit, especially in a no-deal scenario, that all staff will need to understand – such as the requirement for UK motorists to have proof of insurance known as a Green Card if they plan to drive in Europe post 29th March. Again, you could look to offer insight sessions on the implications of Brexit to help staff navigate the changes that may affect them. There have been many reports of a ‘Brexit brain drain’ and the ONS figures referenced above are showing some signs of this already, with 132,000 fewer EU nationals working in the UK than a year earlier - the largest annual fall since comparable records began in 1997. This trend may well continue as Brexit progresses and therefore competition for workers is only going to increase. An attractive employee benefits scheme can be a great resource in supporting your efforts to attract and retain top talent. Take some time to review what is already on offer and how it measures up against your competitors. Do you stand out? Does your benefits scheme meet the expectations of an increasingly discerning workforce? Personalisation is a current buzzword and is particularly important to younger workers who value a personal, tailored approach to employee benefits far more than generic ‘one-size-fits-all’ schemes. Consider what each individual might most appreciate and ensure that there is something on offer for everyone. There has probably never been a better time to recognise the diversity and multiculturalism within your workforce and to design an employee benefit scheme that helps send a clear message to valued workers that they are welcome and appreciated by the business. Get in touch to discuss how to your employee benefits scheme can help support your employees and your business through Brexit.